If you’re running a service website or an online store, you’re going to have to deal with a lot of customer support queries. It’s part of the territory, and if you don’t have a system in place to deal with questions and concerns efficiently, you’ll have a hard time retaining customers. The upsides of adding WordPress support chat to your site. Three of the top WordPress live chat plugins. How to set up and configure your live chat plugin. Some tips for testing your WordPress live chat system. Customer service is an essential part of providing a strong user experience, so let’s get right to business! If you’re running a website that involves selling products or services, you’re going to have to deal with customer support. There are a lot of ways you can communicate with clients about any issues they might have. You can handle queries via email, using a ticket system, and even through WordPress live chat. Quicker response times. With live chat, you can handle support requests almost instantly, as long as you’re available. A more professional website. If your site includes a live chat feature, it lets visitors know you have people who are ready and waiting to help them out. This is naturally something customers like to see. Improved accessibility. In some cases, people won’t submit support tickets or emails because it’s too much work. However, with a live chat, all it takes is are a few keystrokes for them to start talking with someone who can help. Increased conversions. In some cases, potential customers will hop on live chat to ask questions about purchases they’re considering. Once you’re talking to them, making a sale can be much easier if you know how to steer the conversation. WordPress live chat can be a perfect addition to a lot of websites. However, it doesn’t make much sense to set one up if you’re running something small, such as a personal blog or portfolio. In most cases, e-commerce and service websites will benefit the most from WordPress live chat. After all, those are the types of sites that have to deal with customer support and queries all day long. However, if you want to add live chat to another type of website, there’s really nothing stopping you. 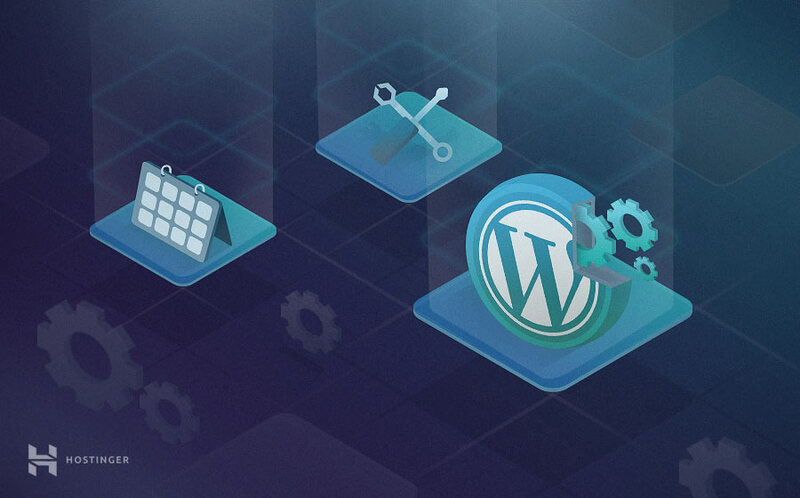 With WordPress, you have several options for how to go about implementing this feature, some of which are even free. In fact, we’d recommend that you consider adding live chat to your website even if you already offer another support channel, such as regular emails. The more options you provide, the more likely it is that users will feel comfortable reaching out to you with any issues. As a consequence, you’ll be able to keep them happier. As you might imagine, the easiest way to add live chat to WordPress is by using a plugin. In this section, we’ll introduce you to three of the best WordPress livechat picks. After that, we’ll teach you how to use one of them. If you’re looking for a WordPress live chat plugin that’s incredibly simple to use, WP Live Chat Support is a great place to start. This plugin enables live chat on your website as soon as you activate it, although it also provides you with a lot of customization options. 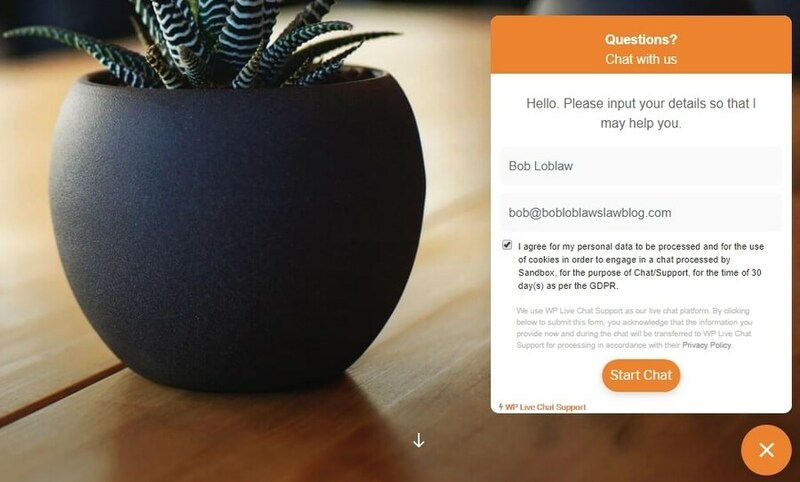 For example, you can change the style and colours of your live chat window, as well as the automatic messages users see when they open a new chat. WP Live Chat Support also enables you to chat with multiple users at once, start chats from your own end, and even check out transcripts from past conversations. Overall, WP Live Chat Support is a fantastic option for small to medium-sized operations. However, it only supports a single ‘support agent’ out of the box, which means that only one WordPress account can chat with users. If you need to deal with many support requests each day, it might be worth your time to consider another option. Alternately, you can upgrade to this plugin’s premium version. Enable live chat for WordPress in minutes. Chat with multiple users at once. Customize the appearance and behaviour of your chat system. Save chat transcripts and send them to users if needed. Pricing: The base plugin is free, but there’s also a Pro version. Live Chat by Formilla is another plugin option with a high degree of polish. It enables you to add live chat to your pages automatically or to use widgets for more control over the feature. You can also monitor user activity through the plugin’s control panel, and start chats with any user you want. In addition, Live Chat by Formilla enables you to trigger live chat windows that launch automatically after a set amount of time. We like this approach because it feels more natural to users who are browsing your site. Overall, this plugin offers a lot of functionality and a very sleek interface. Of course, you will need to register for a Formilla account in order to use this plugin. Signing up for an account is simple, and you can choose a free plan. The features you’ll get are worth the extra hassle in many cases. If you don’t want to use a third-party service for your live chat, however, this might not be the best option for you. Set up customizable live chat windows. Provide visitors with waiting time estimates. Use widgets to configure your live chat placement. Configure your chat windows to launch automatically after a specific period of time. Pricing: The plugin itself is free, as is the most basic plan. If you need more functionality, there are premium plans start at $11.99 per month (per chat agent). As the name implies, Click to Chat for WhatsApp Chat is a bit different from our other picks. What this plugin does is add a chat button to your website, which automatically opens a WhatsApp conversation screen so you can talk with your visitors right away. For desktop users, the plugin will launch WhatsApp web, which works in much the same way. The upside of this approach is that WhatsApp is incredibly popular in some parts of the world, so many of your users are probably acquainted with it. Plus, since most people carry their smartphones at all times, using this plugin can help you assist customers faster. The downside is that users will be able to see your number when they open a conversation with you. That means you’ll probably want to get a number that’s reserved just for dealing with customers. Enables users to open WhatsApp chats with you from your website. Works for both mobile and desktop users. Pricing: The plugin itself is free, as is WhatsApp. But there’s also a premium version available, with additional functionality. Now that we’ve introduced you to several of our favourite WordPress live chat plugins, we’re going to show you how they work. For this tutorial, we’ll be using WP Live Chat Support, since it’s easy to set up even if you’re a WordPress newbie. However, that doesn’t mean the other plugins we mentioned aren’t excellent options. We encourage you to use whichever one you feel most comfortable with. Go ahead and click on the Install Now button, and wait for WordPress to complete the setup process. After a few seconds, that button will be replaced by one called Activate. Click on this too, and you can get right to work on setting up your WordPress live chat. Remember to save this change, and then you can get to work on configuring your live chat without any users getting to see it just yet. Usually, it’s a good idea to ask for a visitor’s name and email address before you chat with them. That way, you know how to address them, and you also get their email in case you need to follow up with them later on. If you move further down, you’ll notice a setting to enable your WordPress live chat on mobile devices. We recommend that you do so, since mobile traffic is always on the rise. This can be a useful setting in some cases. However, not a lot of websites use chat transcripts, so whether to activate this feature or not will depend on your own preferences. Just keep in mind that if you expect to deal with sensitive information over live chat, sending transcripts may pose a bit of a risk, so you probably shouldn’t use this feature. Ideally, your live chat will feel like an extension of your website. 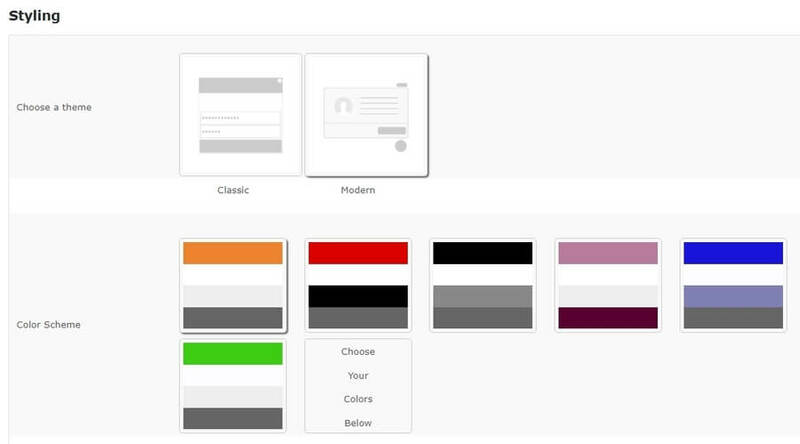 So we recommend using a similar colour palette as the rest of your site, to help fully integrate it. Once you’ve chosen a theme and colours for your live chat, scroll down until you reach the First Section Text setting. Here, you can customize all the automatic messages your visitors will see before and during your chat. The defaults work well enough for most websites. However, feel free to customize your WordPress live chat messages if you want to. When you’re done tweaking these settings, remember to save your changes and turn your live chat back on. Now, it’s time to see it in action! You can end a conversation at any time, as can the user on the other side. When that happens, the chat will disappear from your Active Visitors tab. However, you’ll still be able to check it out if you head to the Live Chat › History tab, which can be useful if you need to evaluate other agents. Now, you’re ready to use WordPress live chat on your website! Just remember that if you use the WP Live Chat Support plugin, you’ll need to keep your dashboard open on one of your browser tabs if you want to make sure to catch new chat requests quickly. Otherwise, users may get tired of waiting and close the chat, which probably won’t put them in a pleasant mood. 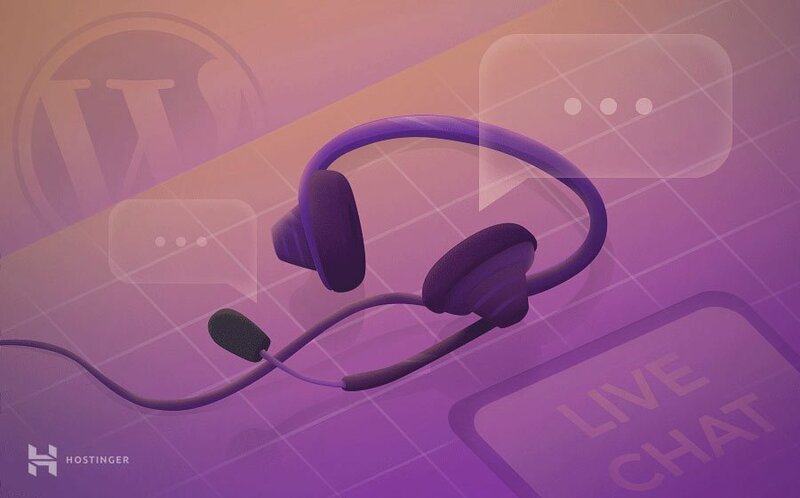 Adding live chat to WordPress is one of the best ways to improve the quality of your customer support. Plus, you can always use it alongside other channels, such as email and phone support, depending on how many people you have to deal with. If you’re using WordPress, you can check out a plugin such as WP Live Chat Support, in order to add this functionality to your website in just a few steps. Do you have any questions about how to provide better WordPress customer service? Let’s talk about them in the comments section below!